Posse is a story of power and greed. Kirk Douglas stars as U.S. Marshall Howard Nightingale, a ruthlessly ambitious lawman, who is running for U.S. Senator. 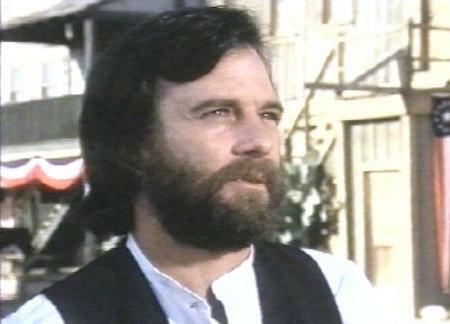 He travels Western Texas during the1890s in a special train that the railroad has supplied him. 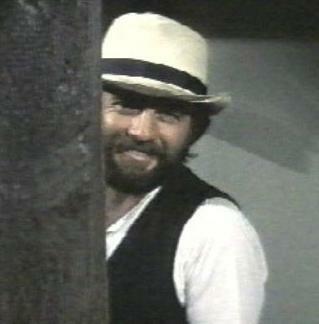 At Tesota is Jack Strawhorn (Bruce Dern who guest appeared in Lancer), the leader of the train-robbing Strawhorn Gang. In the process of resisting arrest, he guns down the town Sheriff. The townspeople throw down their guns and hide and only Harold Hellman (James Stacy), the newspaper editor, unarmed, has the guts to go to the prone sheriff. U.S. Marshall Howard arrives to hunt Strawhorn down and further his political ambitions. Only Hellman sees what Howard is and knows that Nightingale’s Senate seat rests on Strawhorn’s capture. 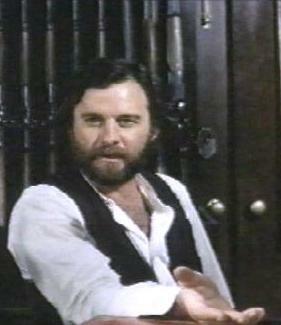 James Stacy’s portrays Harold Hellman, as a crusading newspaper editor. A lone individual, he demonstrates quiet courage in a town of cowards and is not frightened by violence from the lawless or in this case the law. Nightingale does not impress him and there is an excellent scene between Nightingale and Hellman where Hellman explains why he has only one arm and leg. 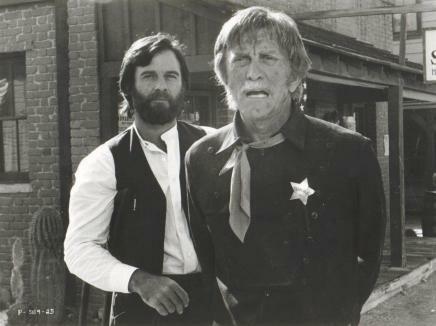 Kirk Douglas’ created this role specifically for James. 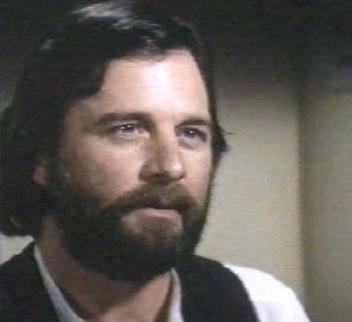 I am not connected to James Stacy in any way, nor do I have contact details for him. on the copyrights of anyone holding the rights to the images or other information from this movie.